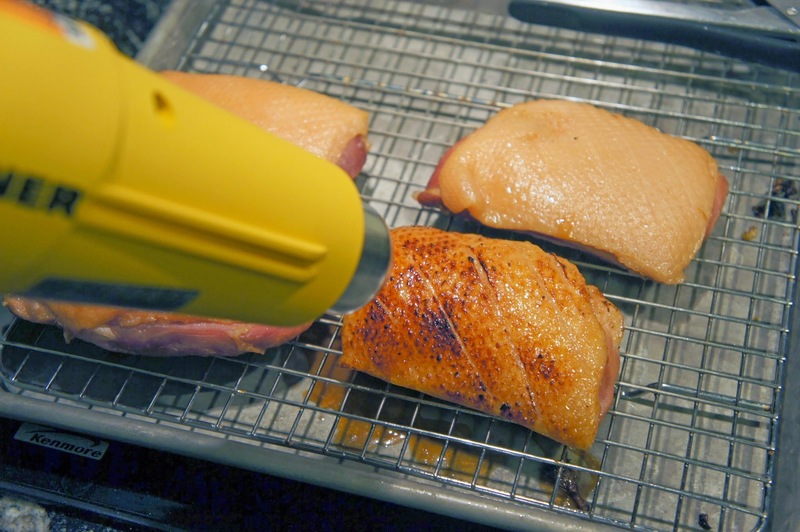 A few posts back I mentioned crisping up my duck breast using a heat gun. 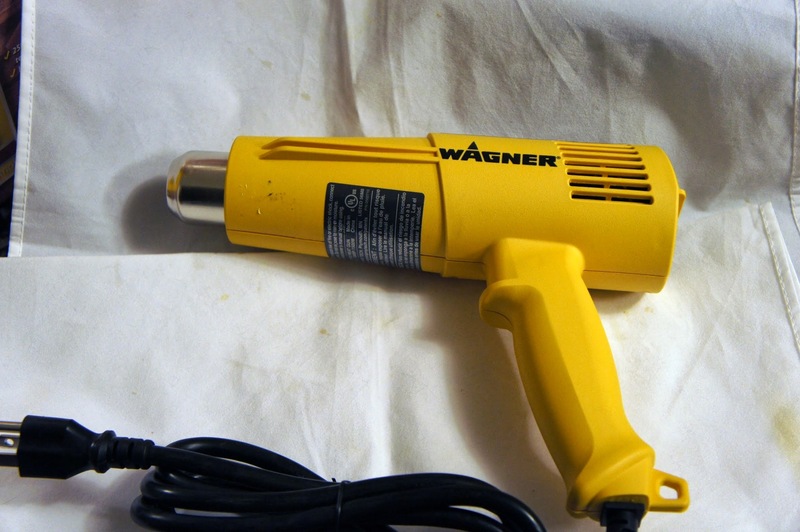 I was talking with CookingForEngineers and he mentioned that his wife bought him a heat gun for purposes of work around the house but he mentioned that he's used it for some alternate culinary uses. This compelled me of course to pick one up (I think I spent around $40 at the local big box hardware store). There's a low and high setting, you can set the gun as low as 250F or as high as 1350F. It's like (ok it is) a variable heat blow dryer. 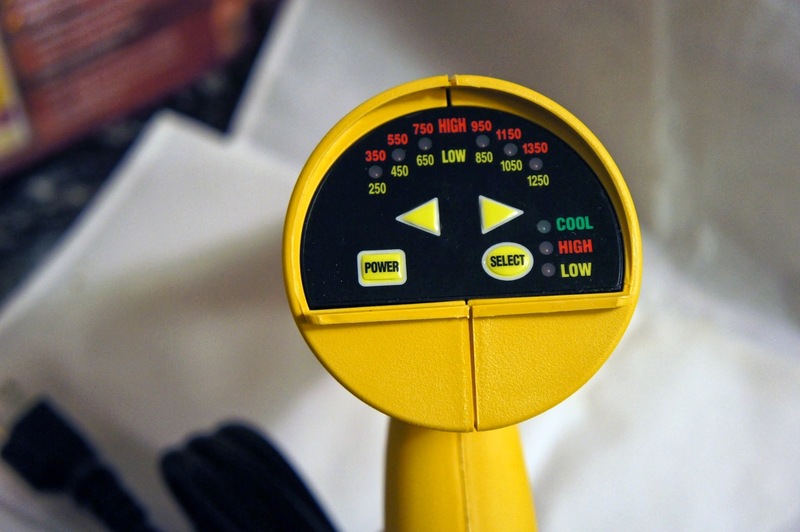 Typically you use a heat gun for paint drying, pipe thawing, paint removal, shrink wrapping, the list is pretty long basically anything that requires hot dry air. And when we're talking 1350F that's hotter than I can get my green egg and for $40 bucks I was willing to give it a shot. 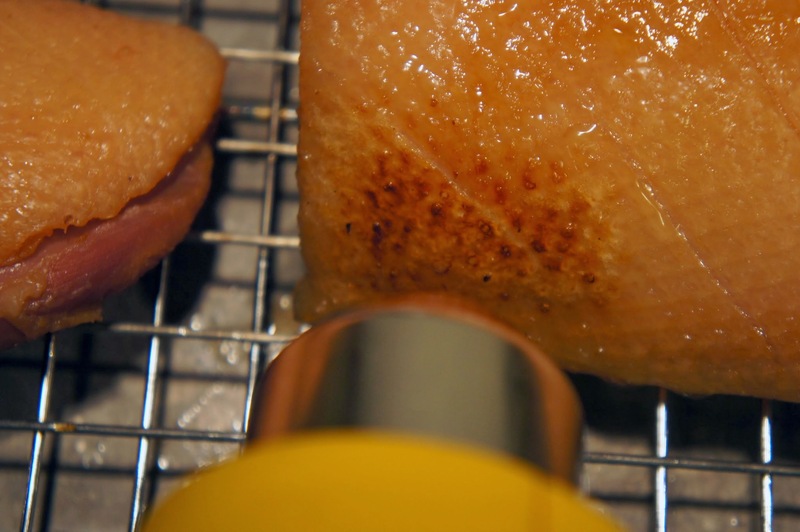 But for a small piece of duck breast (even 4) it worked out pretty good (I set it at 950 "high" power). It took a while to get to the entire surface of everything (a few mins, but it felt like a while) but still faster than hitting a broiler that has the potential for further cooking the duck breast since all sides would be subject to heat in the oven. Granted the broiler can let me do all for duck breasts at the same time. My wife was pretty happy with the results but next time I may try a slightly lower setting and longer heat treatment, at 950 the skin crisped nicely, but it could have used a bit more heat further into the fat layer. As a multi functional tool I think Alton Brown would be proud, I just need to find some more culinary uses for it. A word of warning since you are blowing hot air, I would not recommend this device for finishing a creme brûlée you'll end up with sugar all over the place.